﻿ The Chiltern Hotel Luton, London | FROM $38 - SAVE ON AGODA! "A second visit to the hotel both experiences very pleasant." Have a question for The Chiltern Hotel Luton? "I enjoyed my stay and would stay there again"
"Breakfast was good and staff was helpful." "The management and staff are great." "Love the location near to metro station and carefour superma..."
Thinking of planning a trip to London? What are you waiting for? Book your stay at the Chiltern Hotel Luton for the vacation you've always dreamed of. Offering a bar, restaurants on-site, and room service, the hotel features a selection of dining and snacking choices. It features a fitness center and a spa among other fantastic facilities. This London hotel offers family rooms, giving you space to spend time together throughout your stay. 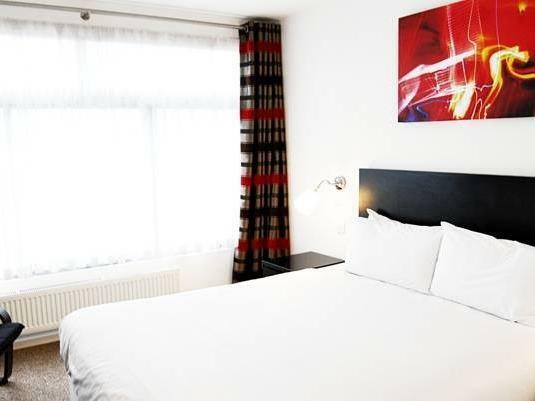 With laundry services, daily housekeeping, luggage storage, as well as dry cleaning services, the Chiltern Hotel Luton has various useful services to ensure that you get the most out of your time in London. There's free Wi-Fi available in all rooms, as well as Wi-Fi in common areas, ensuring that guests are always able to contact their friends and family back home without splashing out on data and roaming costs. All of the rooms come with a coffee or tea maker, a hair dryer, a shower, and a desk, as well as ironing facilities, a fan, and satellite or cable channels. Providing around-the-clock front desk services, this hotel guarantees that there is always a member of staff behind the desk to help you with any questions whenever you need. It permits pets, so it is great for travelers who want to take their pets on vacation with them. 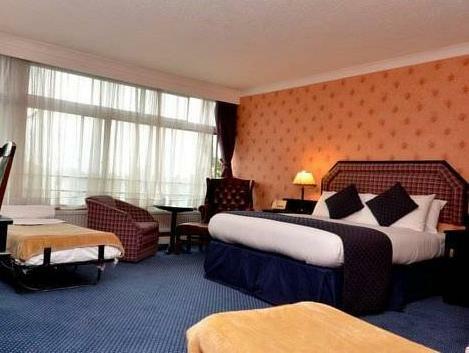 The Chiltern Hotel Luton offers check-in from 02:00 PM and check-out until 11:00 AM. Leagrave Train Station is 1.1 km away and Luton Train Station is 3.0 km away. The nearest airport is London Luton Airport (LTN), which is located 5.8 km away. "Nice staff, clean room and great value"
As a business traveller, The Chiltern gives me everything I need. The management and staff are great. I prefer (and I am always given one of) the rooms on the 3rd. Floor. All the facilities I need, plenty of space (and importantly, lots of desk-space for working), excellent wi-fi, good cleaning. I have a lot of business in Leagrave; so I've already spent 80% of 2018 there. That says it all. Once again, very happy with my stay at the Chiltern. It gives me what I need and the Agoda price was good. As my business is at Leagrave, this is a very good location for me. I will be back again next week. Everything I needed. As good a location as possible in this particular area. There is even a tolerable pub a few hundred metres away..! A clean, comfortable and safe hotel. Staff were courteous and helpful. Agoda price was excellent. I will book again for my next teip. This is the second time I had to stay at this hotel. Business trip so I had no choice in it but I have never been in a worse hotel. The decor and overall quality of the room was poor. Shower was dirty and the room smelled weird. The only positive is the staff who are amazing! Hotel is in a decent location but let down by the overall quality of the room. Had to move rooms because the shower was not working and this meant off course packing all of my stuff again. The staff was very helpful and friendly but the rooms are not great. This is hotel is nice and well maintained. Facilities are all in nice and good working condition. It is value for money because they were doing discount. Otherwise, with their full charge price will not suit my budget. Water pressure is a bit low, may be my room was on the third (top) floor. I was on a 3 day stay for training at a centre about 3 miles away. The accommodation is absolutely no frills but satisfactory. My only issue was the booking web site says free breakfast, when I arrived and went for breakfast I was told my booking is room only. This is not apparent from the booking confirmation and is not transparent on the agoda site. If the breakfast was free it would have been a 5 star for value. Dried up Paint on bathroom floor. Water very slow in shower. No toothpaste. Bed had a double base but had a smaller mattress whitch was almost flat. Room had a funny smell like an old building. Breakfast was good and staff was helpful. Holes in walls, burn marks, nobs missing from dresser over priced food key card wouldn't let me in the room after 5 times trying a gentleman was call to get a machine to unlock the door. Curtains where dirty and hanging on to life. Referb is needed or it will fail. Stopped over for an early flight from Luton the next morning. The only good thing I can say is this was great for convenience for the airport. I do not like giving poor reviews but this hotel is really awful. The staff look miserable and are not very friendly. The bed was the most uncomfortable one I had ever tried to sleep in and the whole place looked tired and dirty. The shower curtain was mouldy, the toilet and wash basin needed replacing it was just awful. Would never stay there again. Staff were friendly and displayed good interpersonal skills. In its hey day, the Chiltern must have been 5 star hotel and I enjoyed its grandeur. It may not be brand spanking new today but it certainly delivers where it counts. 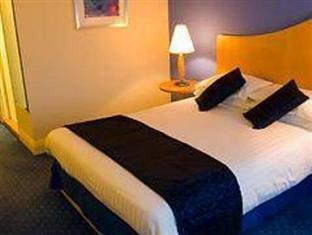 Large spacious rooms, great facilities, fantastic, tasty, wholesome breakfast. It is certainly value for money. I arrived half expecting to see creepy crawlies slithering all over the room as i was let to believe from the past reviews, but I was very pleasantly surprised. I would gladly stay at this spacious hotel again than at a Travel Lodge that looks aesthetically pleasing but packs no punch. Thank you for a lovely stay! the window in the room were old and rickety and did not close properly. The bathtub was old and scruffy. 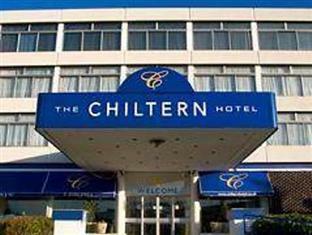 the chiltern was a nice hotel, great first impression on arrivsl and excellent service. The reception staff were lovely and really helpful. The rooms were clean and beds were nicely made and clean too. The only down points were the rickety old windows that could not be closed fully and the bathtub and tiled bath area which needed modernising.However, regards value for money, I would stay here agin.